A beautiful coral reef of Miyako island and many fish wait for you. Your trip will be a pleasant memory. The reef being just a few meters away from the water surface, you will be able to explore all these wonders just by floating at the surface. 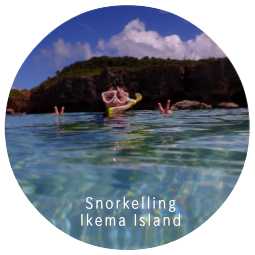 Snorkelling is the easiest way to discover the Miyako Island, it is as simple as breathing. Relax, breathe in your snorkel and be ready to discover a multitude of fishes, corals and other wildlife populating the reef. 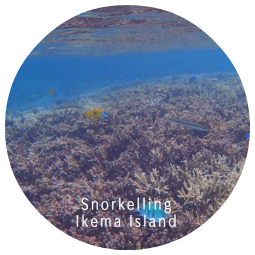 Our snorkeling tour becomes degree for 2-3 hours. 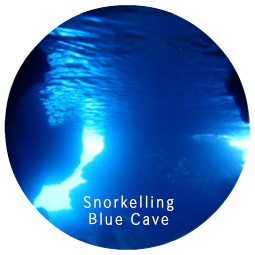 The blue world where a cave is misterious when you look in the water from the inside. It take about 15minutes by boat from the Nikadori Port. 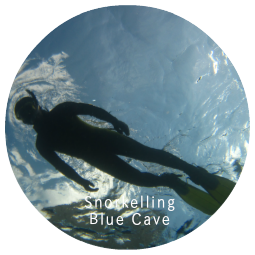 We can go to Blue Cave, when South wind and West wind from May to Oct blow in a season.